I have been using this with my Kindle and I love that I can now read in the bath without worrying about dropping my Kindle. I actually placed it in water and it really does keep the water out. 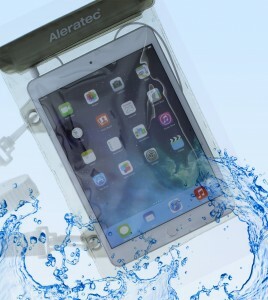 I also tried it with my son’s mini iPad and it worked great too! I love that it includes speakers and I am very impressed with this product. It really does work better than many other water-resistant products that I have tried in the past. This product is being sold on Amazon and currently retails for $22.99. 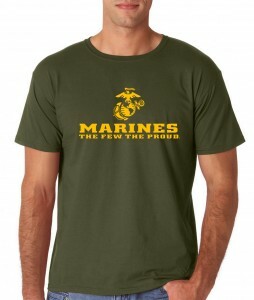 AW Fashion’s Marines Front Logo Men’s T-Shirt- The Few, The Proud. This t-shirt would make a great gift for a Marine in your life. I have a brother who is in the Marines and I am looking forward to giving him this shirt as a gift. He is currently out of the country so I had my husband also check this out for me. He says it seems true to size and he likes the quality of the fabric. It really is a nice quality shirt and the ink/graphics do not look like they will easily fade. It looks like a soft and comfy shirt too. I received this product for free or discounted in exchange for an unbiased review.